OMAHA – Joining the Methodist team is a homecoming of sorts for Dr. Kimberly Butts. An Omaha native, Dr. Butts is the newest member of the family medicine staff at Methodist Physicians Clinic Northwest. 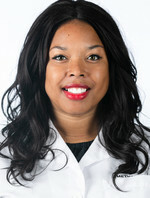 Dr. Butts earned her bachelor’s degree in biology from the University of Nebraska at Omaha and completed her medical training at the University of Nebraska Medical Center in Omaha. She completed her residency at the Lincoln Family Medicine Program in Lincoln. She credits her grandfather, who was a family physician in Indiana, with sparking her interest in medicine. Dr. Butts said she’s looking forward to partnering with her patients to improve and maintain their health. Dr. Butts is now scheduling patients at Methodist Physicians Clinic Northwest Omaha (10710 Fort St.). Appointments can be made by calling 402-354-7500.